Art Primo: Blog - The Beautifal Decay party! They're having the release party for the book tomorrow, July 25th. The artist Kyle Thomas will be there signing and making your very own custom covers, just the way you want them. 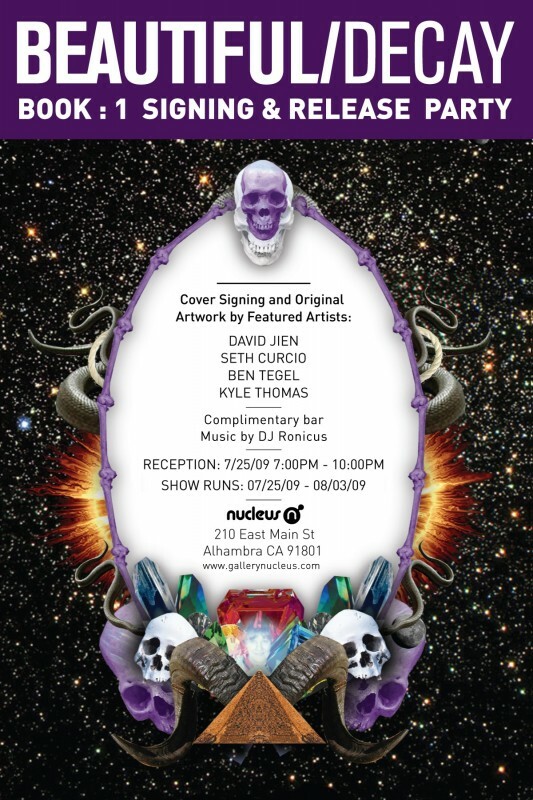 There will be artists featured in the book at the signing, as well as the people from Beautiful/Decay. So if you're in Alhambra, California, go out and check the Beautiful/Decay book release show. Home » Art Primo: Blog » The Beautifal Decay party!